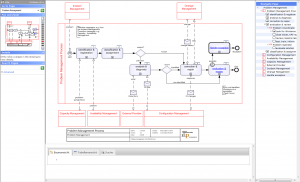 Communicate your process models via the intranet so that all parties come to the important information. With the HTML export you can provide your colleagues with an easily navigable process model – including all additional documentation available. You can navigate through a process model with a single step. To aid orientation a hierarchical listing of the current process is displayed to the right of the diagram. 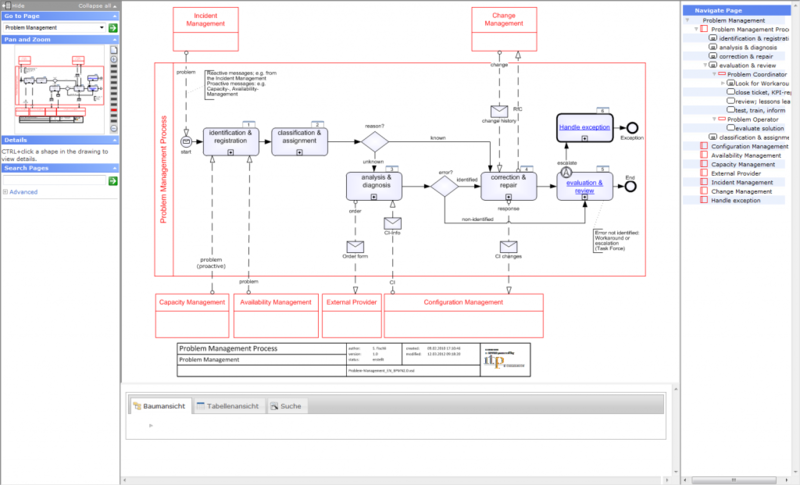 If you are using the Process Modeler publish a process map, each new process model will be published individually, without jeopardizing the integrity of the process map.